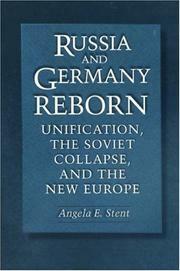 Are you sure you want to remove Essays, speeches, and memoirs of Field-Marshal Count Helmuth von Moltke from your list? 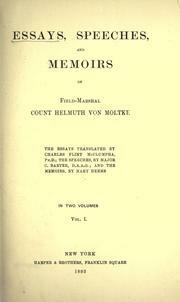 Essays, speeches, and memoirs of Field-Marshal Count Helmuth von Moltke. 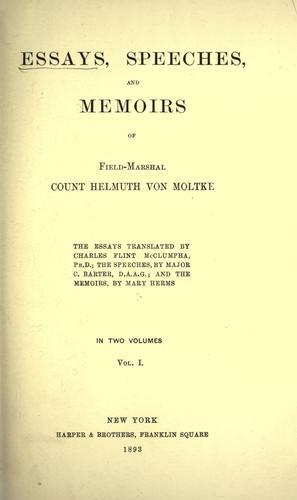 Essays, speeches, and memoirs of Field Marshal Count Helmuth von Moltke.